The FOX Group > Blog > Company > Are clients of FOX able to use IRA funds to trade futures? Sounds easy, right? That’s because it is! This step is no different than if one were to open an individual trading account – the only difference here is that the trading account will be opened in the name of the IRA, not in the name of the individual (i.e., John Doe IRA vs. John Doe). The retail support personnel at FOX will help you through this step. In order to maintain an IRA’s tax-advantaged status while trading futures, all funds must flow through a qualified IRA custodian. 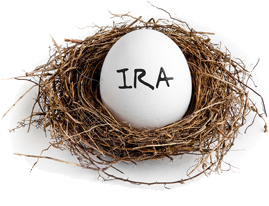 The custodian’s role is to open the IRA as well as to move money in or out of the trading account held by the IRA. It is important to note that not all IRA custodians allow for futures trading. If your IRA funds are currently with such a custodian, you simply need to establish a relationship with a qualified custodian and transfer the IRA funds that you intend to trade from your current IRA custodian to a qualified IRA custodian that allows for futures trading. The FOX Group can certainly refer you to a qualified custodian should you need that introduction. Once your IRA funds are with a qualified IRA custodian and you have a trading account open in the name of your IRA, you have the ability to direct the custodian to fund your trading account with your IRA funds. Once the IRA funds post to the trading account, the client or their designated futures industry professional can then begin trading the account.